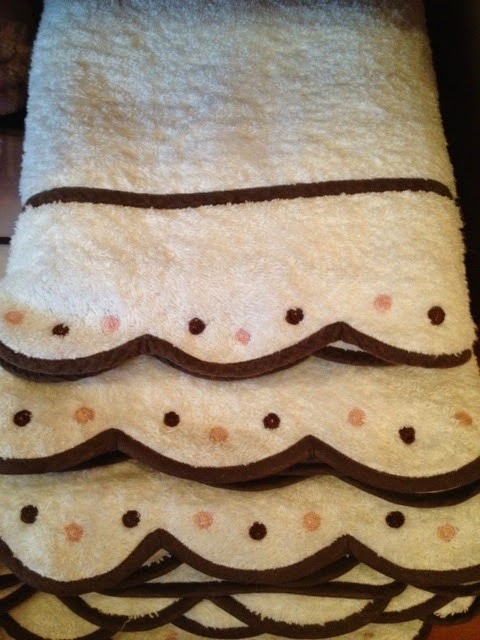 Terrycloth Guest Towel by Noël of Paris $65. 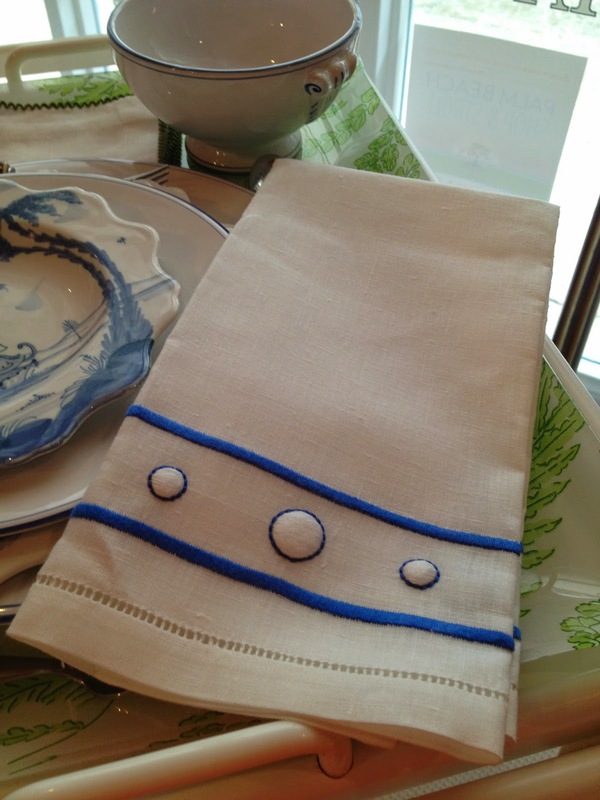 Hand-embroidered Linen Guest Towel by Lin de Château $220. to dotty frames covered in Liberty of London fabrics. 4 x 6 $84. 5 x 7 $90. Our wonderful Italian embroidery house, Baroni, makes the most adorable designs with dots. 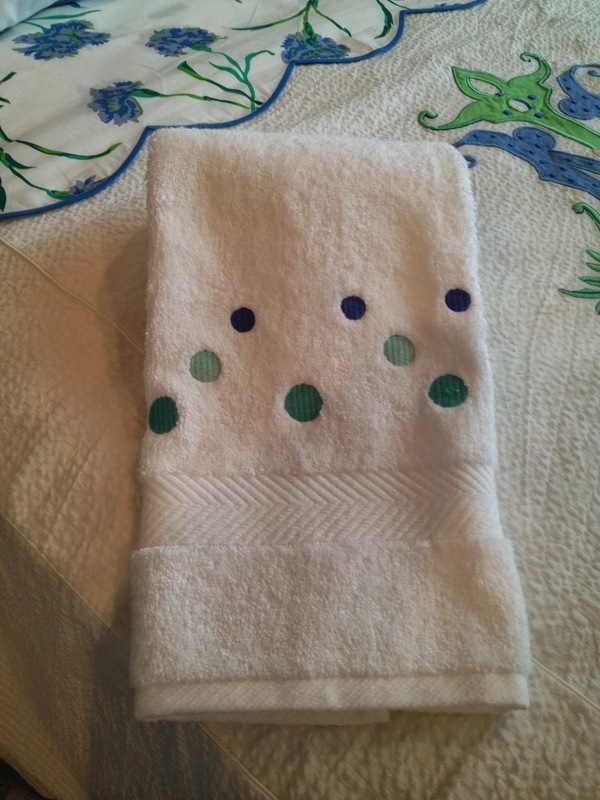 I showed you their dotty bedlinen designs in the last Dot Post, but they also make dotty towels ! This is just one of the dot designs, and you can custom-colour it any way you like. Bath $306. Hand $154. Wash $128. Mat $440. Our china department is also feeling polka dotty these days. We have carried the French flatware line, Sabre, for many years and their dot-handled knives, forks and spoons are always in demand. The best news is that they make every conceivable service piece to go with your set and in so many colours! Sabre 5-piece Flatware set $99. New for us last season was Terrafirma Ceramics' pottery, which is designed and produced in New York. Their textural designs come in 9 colorways and have such names as Dot, Rain, Bubble and Luna, which are all variations on a Polka Dot theme. 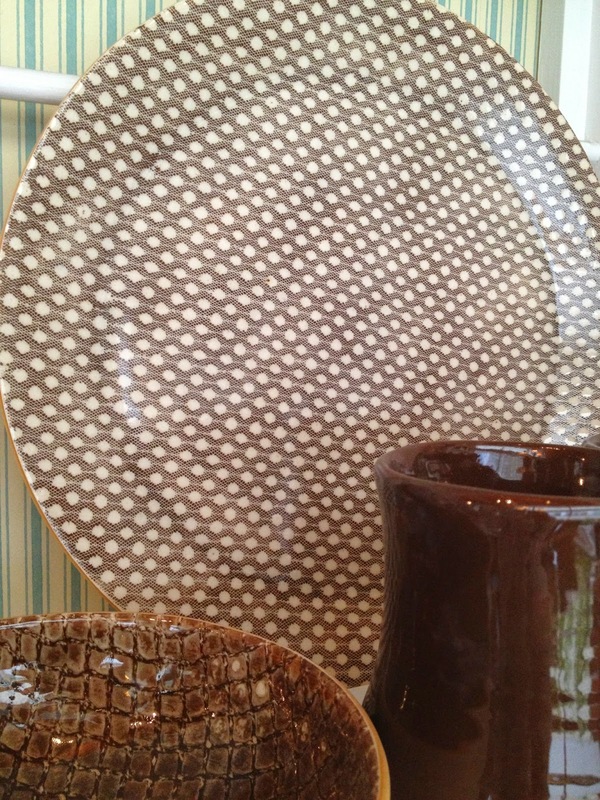 Terrafirma's "Mini Dot" Dinner Plate $53. Dots will always be alive at Leta Austin Foster Boutique because, like Polka Dot, we are obsessed with them.